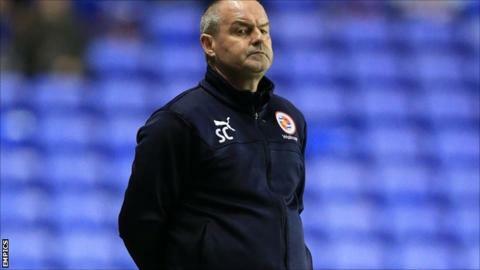 Reading boss Steve Clarke says the club deserves better after the Championship side slumped to their 20th defeat of the season. Clarke, who arrived as manager in December, was speaking after the 1-0 defeat by Birmingham on Wednesday. He also says there will need to be change at the club, who now have three games left this season, in the summer. "It's a club that deserves better than it has had in the league this season," Clarke told BBC Radio Berkshire. "It's a club that has been disappointed, disappointed, disappointed three seasons in a row. "It's obvious to me coming into the club there has to be change. That is obvious to most people around the club that there has to be change but change has to be done correctly and in the right manner." The Royals did reach the FA Cup semi-final, losing to Arsenal in what was the highlight of a disappointing season that Clarke wants to end on a high. "I want to win the last game at the Madejski Stadium," he added. "It's not been a good season at home. "The games that remain give us the best possible chance to make the correct decisions in the summer. "I know what I want to do over the summer, but I want to do and what you can do can sometimes be two different things. "I'm clear in my mind what I want to do but whether circumstances allow me to do, that is something I cannot control." Reading fans showed their support for keeper Adam Federici after his mistake in Saturday's FA Cup semi final and Clarke says everyone has moved on from the fumble which led to Arsenal's winner. "Adam is a good goalkeeper and everyone has to move on from it," he said. £60,000 for ticket to mega-fight?